A popular trend in wedding rings right now is to wear one which has a few small diamonds embedded. Unlike the "rock" in a setting of an engagement ring, diamond wedding rings are more subtle and elegant. They can give a little bit of sparkle to a beautifully designed ring. When you are choosing your diamond wedding rings, did you know that you can get diamonds in many different colors? 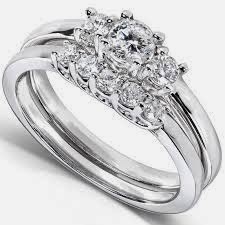 The traditional white diamond is the most popular option which you will see in most diamond rings. However, there are also diamonds available in a wide range of hues. When it comes to colored diamonds, remember that this refers to more of a relative hue. A diamond will not look bright blue or yellow, but it will have a subtle tint to it. The color of the diamond has a major impact on its value. Truly colorless diamonds are the rarest and so they are the most expensive. They are also the most stunning because they allow light to pass through them so that they sparkle and shine. 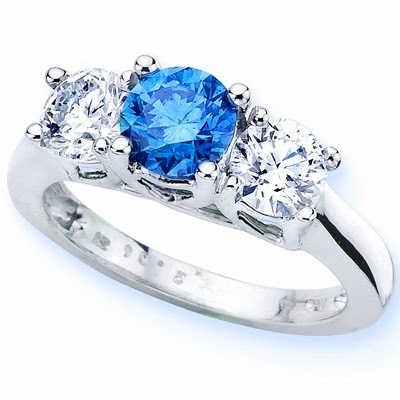 However, many people find that colored diamond wedding rings can be beautiful in a different way because of the uniqueness of the color. If you are looking for rings, which color of diamonds should you choose? 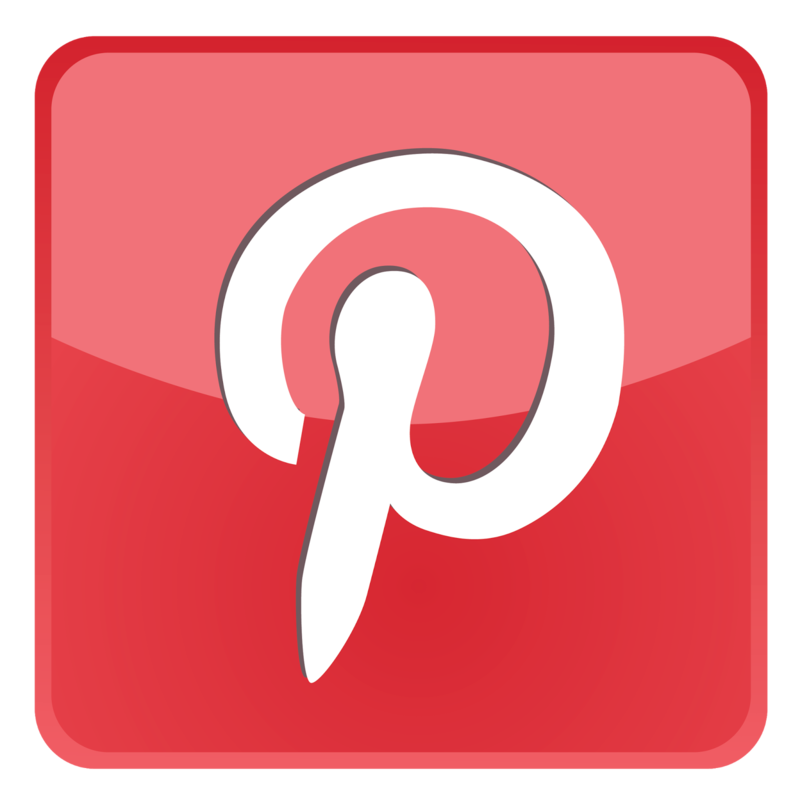 Essentially, the choice is up to you and your jeweler, depending on what you are looking for. Colored diamonds have a natural tint to them which the jeweler can accentuate by the way that they embed the stones into the ring. 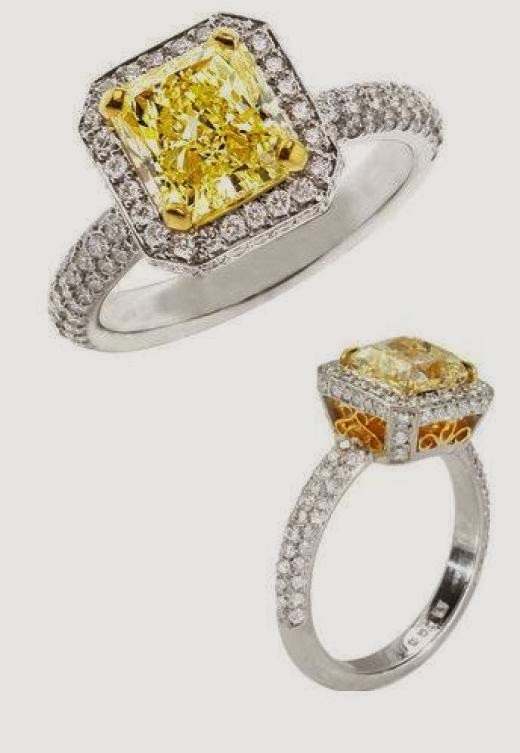 For example, yellow diamonds can look exquisite when paired with a gold wedding bands as the colors will complement each other. 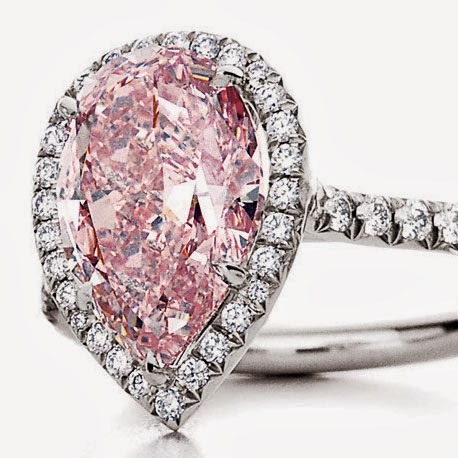 Pink diamonds are one of the most popular colors of diamonds, as they look gorgeous when paired with silver metals. They are formed by plastic deformations during the growth of the crystals. However, they are much rarer than yellow diamonds so they will be more expensive. The solution is to use many small pink diamonds around the circumference of your wedding rings to create sparkle in a subtle way, making for a very intricate and feminine ring. 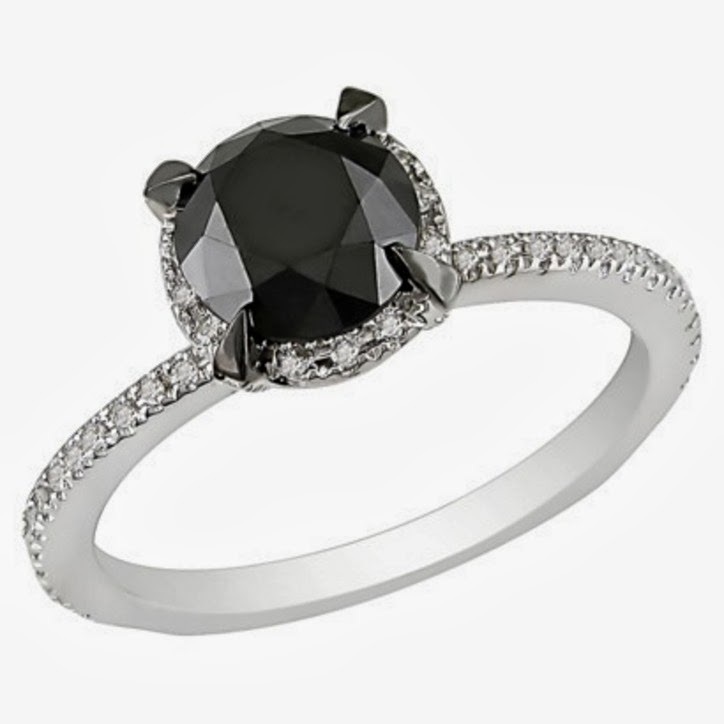 Another option is the black diamond, which is formed by the interaction between several minerals including fosterite and pyrope. These types of stones are intriguing, mysterious and very attractive. They also have a strong a masculine look which makes them perfect for using in men's diamond wedding rings. They look very striking when paired with strong metals in a man's ring, but they can also be used as small accents on a women's ring as well. Choosing a colored diamond to accentuate your wedding ring can be a unique alternative to the traditional white diamond and will result in a beautiful one-of-a-kind ring that you will cherish forever.